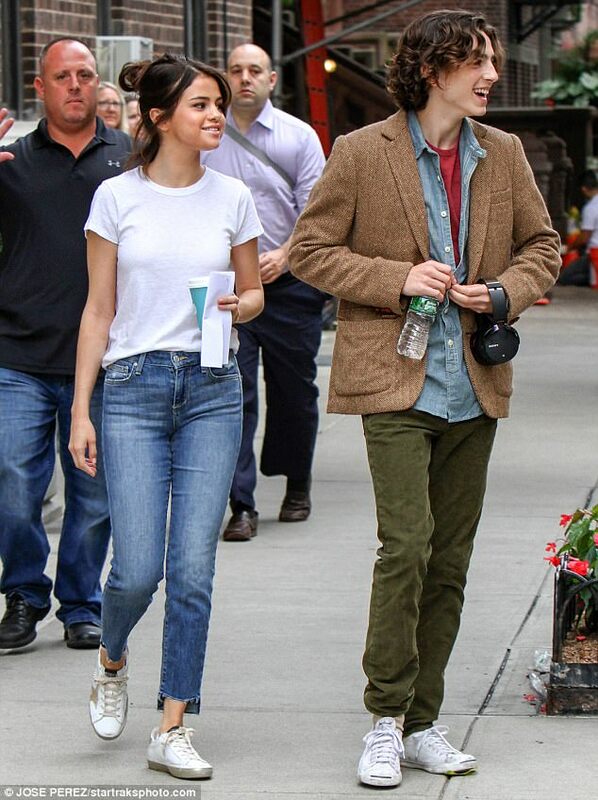 A smiling Selena Gomez looked the picture of health as she stepped out in New York on Thursday after revealing she underwent a secret kidney transplant. 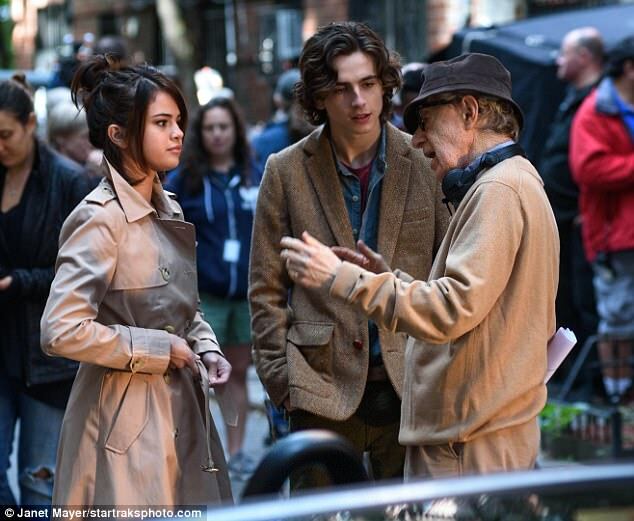 The 25-year-old was spotted on the set of her next project, an untitled Woody Allen film, alongside co-star Timothee Chalamet. 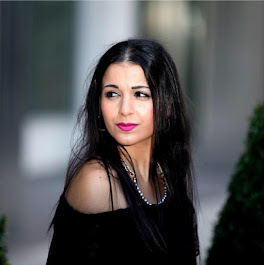 But just hours before she revealed she spent the summer recovering from a kidney transplant that she had as part of her battle with Lupus, she was also hospitalised in May after suffering kidney failure whilst waiting on the transplant list. 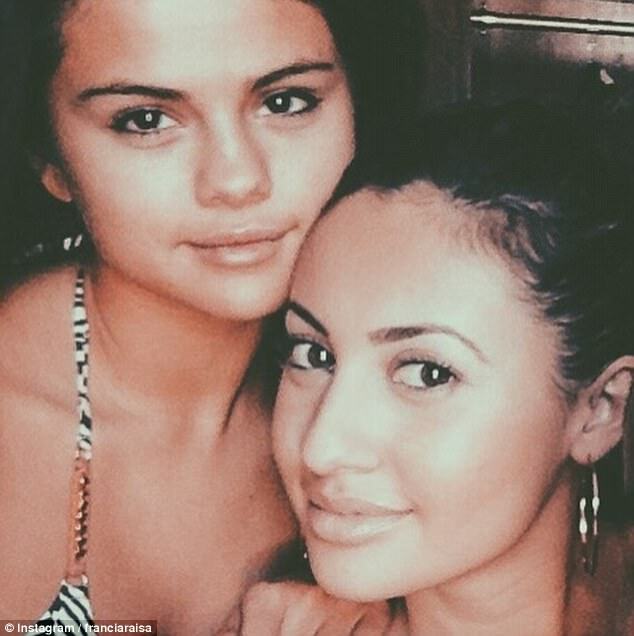 The former Disney star exposed the secret in a touching Instagram post, in which she also disclosed that the donor had been her friend Francia Raisa - who later revealed she was 'grateful' to have been given the chance to help her friend. Selena was also said to have been hospitalised in May after suffering kidney failure whilst in Chicago to see her boyfriend The Weeknd perform - who reportedly stayed by her side throughout the ordeal. Alongside the message she shared a picture of herself and Ms Raisa laying side-by-side in hospital while clutching hands. The model also announced she was 'grateful' at having the chance to help her friend as she shared a sweet post about the operation. She wrote: 'I am beyond grateful that God would trust me with something that not only saved a life, but changed mine in the process. 'This was part of our story, and we will share it soon, but what is important now is that this is not the only story. 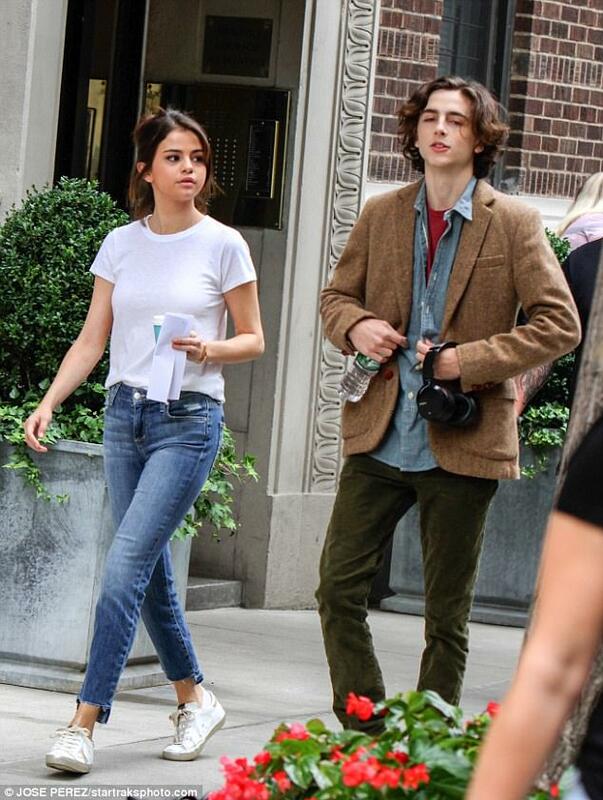 In another post from 2016, uploaded on as Selena turned 24, she wrote: 'I am obsessed with every memory we've built in the last 8 years and the ones we have yet to create. 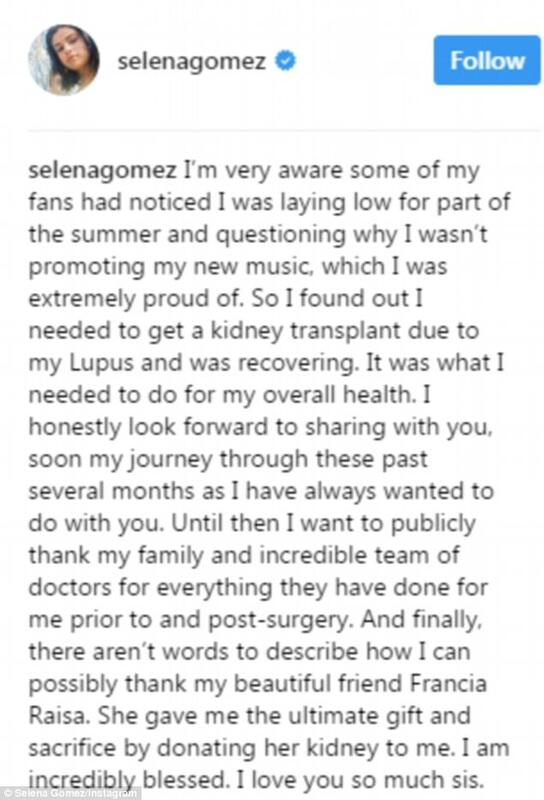 In her own Instagram post, Selena also added a link to the Lupus Research Alliance website, encouraging her followers would look into the condition. Lupus is a chronic inflammatory disease that occurs when the body's immune system attacks its own tissues and organs. Lupus can be difficult to diagnose because its signs and symptoms often mimic those of other ailments, and no two cases of lupus are exactly alike. 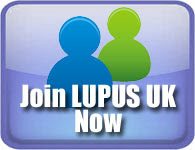 In the US, 240,000 people have been diagnosed with Lupus, while it is estimated to affect around 15,000 people in the UK. The signs and symptoms of Lupus that a person experiences will depend on which body systems are affected by the disease. The most common symptoms include a butterfly-shaped rash on the face, fatigue and fever, joint pain, stiffness and swelling. Other common signs are skin lesions that get worse in the sun, shortness of breath, chest pain, dry eyes, headaches, confusion and memory loss. Some people are born with a tendency toward developing Lupus, which may be triggered by infections, certain drugs or even sunlight. While there is no cure, treatments can help control symptoms. The Blast was the first to break the news about Selena's surgery. The Starboy hitmaker and the singer, who started dating in January, have decided to take their relationship to the next step as it is believed they are living in a lavish apartment in New York City’s Greenwich Village together. 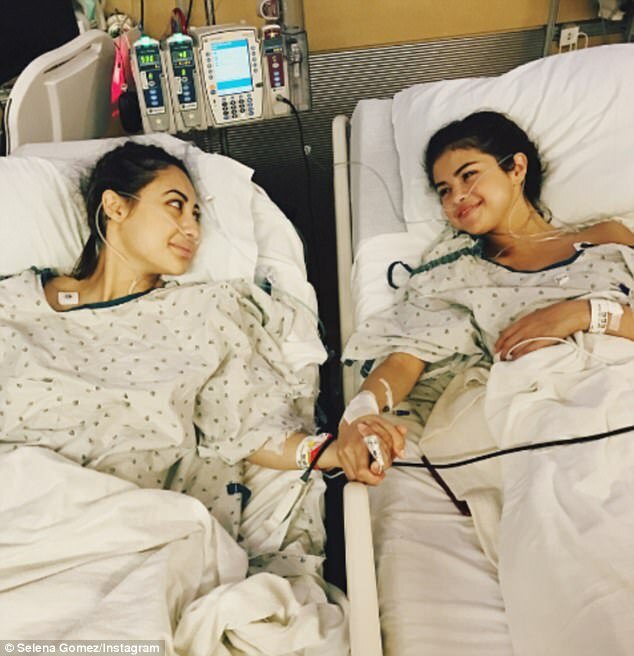 Selena's best friend was probably able to give the singer the 'ultimate gift' because their blood groups matched. This is one of the three requirements that surgeons have when it comes to going ahead with the risky major surgical procedure. If blood types are not compatible, the donor still may be able to donate directly to you using treatments that lower your blood antibody levels - another test undertaken to see if the organ will be a match. Tissue typing tests (HLA) are also taken to see how well the potential donor organ would work in the new body or if it would be rejected by the immune system. Parents and children have a 50 per cent chance of matching, unrelated donors are much less likely. But it is possible to have a perfect match if the recipient has a common HLA type. Crossmatching is done multiple times throughout the transplant process. It measures antibodies in the recipient's blood and the donor cells. If it fails, it shows that the transplant cannot take place. The most common type of kidney transplants come from the deceased. But donations from relatives and friends are becoming more common. Figures suggest that in between 3 and 4 per cent of cases the donor kidneys fail because the new recipient's body has rejected the organ. Around 3,000 kidney transplants are undertaken each year in the UK, according to official NHS figures. In 2014, more than 17,000 took place in the US. The operation is carried out when the kidney loses its ability to filter waste products from the blood. This can be life-threatening. Those desperate for a new organ, but don't have a suitable living donor, are forced to wait for a suitable deceased kidney. Such waiting times can extend to five years, in which case patients are put on dialysis and advised to eat healthily, cut down on alcohol and exercise more to keep the organ functioning. Like any major surgical procedure, it comes with various risks. In the short term, it can lead to deadly blood clots and infections. Over a longer period, it can lead to weight gain, high blood pressure and even increase the risk of cancer, according to the Mayo Clinic. 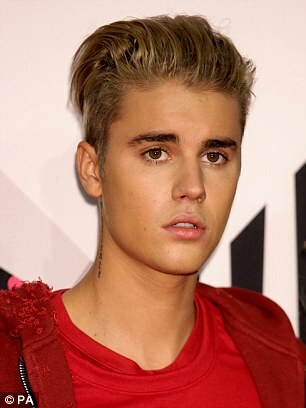 It is speculated that the Kill Em With Kindness musician’s accommodation costs approximately $16,000 a month to rent. The couple normally live separately in Los Angeles, and it is not known if they have a joint pad on the West Coast. The pair’s relocation is believed to be only a temporary stay for them both, but in the meantime they are both 'very happy' with their new home and to be settling down with one another. And it is believed The Weeknd – whose real name is Abel Tesfaye – has reportedly thought about 'starting a family' with his partner. He has even told his girlfriend about his dream for their future together.